Although it is not mentioned in scripture, the Assumption of Mary has been a solidly held belief of our faith since apostolic times. It has been celebrated liturgically since the 6th century AD. 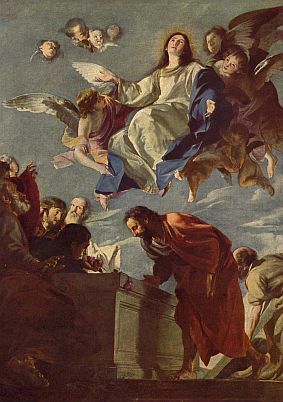 Belief in the Assumption of Mary rests on tradition and on solid theological grounds, although nothing is written in scripture, or otherwise known historically for certain, about it. 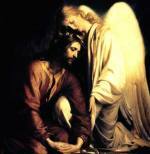 Theologians over the centuries have all agreed that it was only fitting that the Blessed Virgin Mary joined her divine Son in both body and soul in her Assumption into Heaven! After all, she was born uniquely without Original Sin and lived “full of grace” (Luke 1:28), sharing in Christ’s victory over Satan, sin and death as His Blessed Mother. Thus Our Lord would not subject her body to the corruption and decay that would occur in a tomb over time! It is important to note also that the Pope in the official church document did not say specifically whether or not Mary actually died before being taken up to heaven, although most theologians hold that to be the case, only that she “completed the course of her earthly life.” The important thing is that she did not experience the corruption of her body from death that we do as a result of our being born with Original Sin. 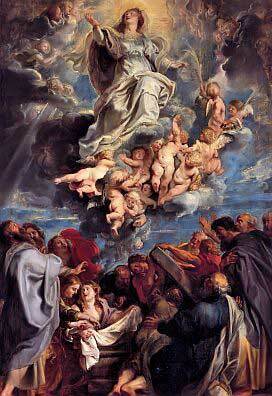 So what does the dogma of the Assumption of Mary into Heaven mean for us on a more down-to-earth level? It gives us great hope that, as we strive to live in our Lord's grace and to do His will, with Mary’s assistance, we might share in His resurrection someday! Jesus redeemed His mother first through her Immaculate Conception (when she was uniquely conceived without Original Sin). Thus it was natural that she was assumed into heaven. 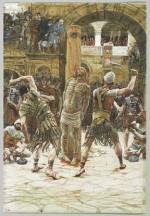 Yet our Lord died for ourredemption as well, despite our sinfulness! After we pass away, at the Last Judgment, may Christ find us worthy to share Eternal Life with Him like Mary, in both body (glorified like His! 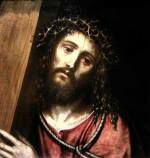 )and soul, so that, as he told His apostles once, “my joy might be in you and your joy might be complete” (John 15:11).